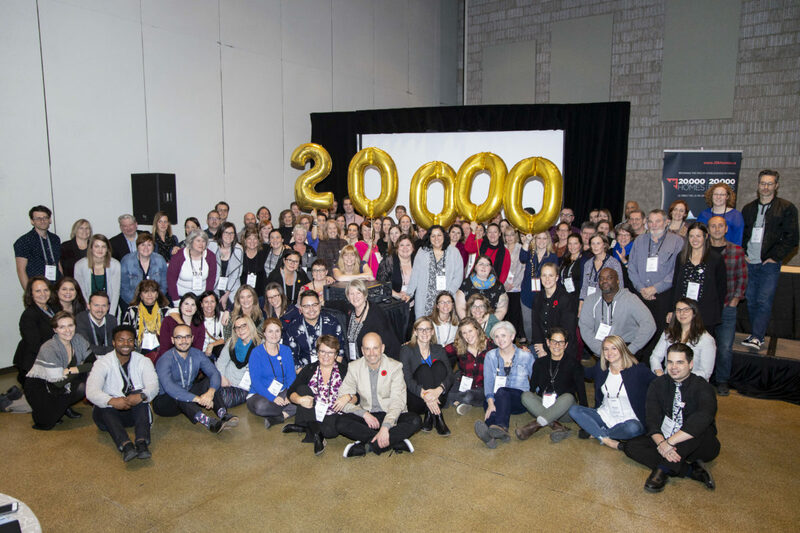 CAEH - 20,000 Homes Campaign communities close in on goal to house 20,000 of Canada’s most vulnerable homeless people. 20,000 Homes Campaign communities are closing in on the 20,000 move-ins goal ahead of our July 1, 2020 deadline. As the campaign heads down its final mile, we reflect on our journey and look ahead to the future of the campaign. On June 16, 2015, the CAEH joined 21 communities to launch the 20,000 Homes Campaign. Our goal: to house 20,000 of Canada’s most vulnerable homeless people by July 1, 2018. This month, our 38 participating 20,000 Homes Campaign communities have reported 19,683 move-ins. Our campaign launched with great energy and promise, communities rallied to conduct Registry Weeks and began urgently finding and housing their most vulnerable homeless neighbours but as our housing move-in numbers increased we didn’t see the reductions in homelessness we expected – and in fact, began to see how limited our ability to measure any reductions was! We quickly realized, housing 20,000 of Canada’s most vulnerable people in and of itself was important but was not going be enough. Through the summer and fall of 2017, we went back to the drawing board – consulted our community partners, we reviewed the data, analyzed our successes and challenges, huddled with experts and partners like Community Solutions, explored the strategies communities in Canada and around the world were using to reduce homelessness. We realized to reduce chronic homelessness, we had to put much more emphasis on critical community strategies: quality real-time data, creating coordinated access systems and embracing strategies for continuous performance improvement in addition to a focus on urgently housing our most vulnerable homelessness neighbours. We re-grouped and redefined our aim to end chronic homelessness in 20 communities and house 20,000 of Canada’s most vulnerable homeless people by July 1, 2020. Since then 11 communities have quality real-time data (by-name lists), there’s been important progress on coordinated access system implementation, a number of campaign communities are moving toward verifiable reductions in chronic homelessness, and we expect to see the first Canadian communities achieve a verifiable functional zero on chronic homelessness within the year. And it’s our 38 community partners who have done all this hard work, not us. While we work to support them, they’ve done the hard work to prove that ending chronic homelessness in Canada is possible by doing it. As we reach the 20,000 move-ins mark we’re shifting that drive to end chronic homelessness into high gear. Stay tuned for an important announcement in early March as we re-focus and go all in on helping communities achieve functional zero on chronic homelessness. Watch for our new ‘Bright Spots’ series sharing the incredibly powerful work happening on the ground in communities across the country who are reducing homelessness in inspiring ways.